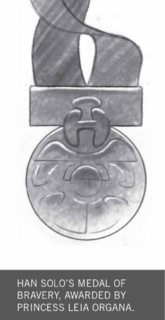 What award/medal is this - I have been searching Wookieepedia to try and find what medal this is, but i have not found it, does anyone know what this medal/award was and why it would be given (eg- bravery, serving in the battle of Yavin)? And it's also been called the medal of valor (note the small m and v) and medal for bravery in various (now Legends) stories. The Medal of Bravery was an award given for heroic efforts by the Rebel Alliance. 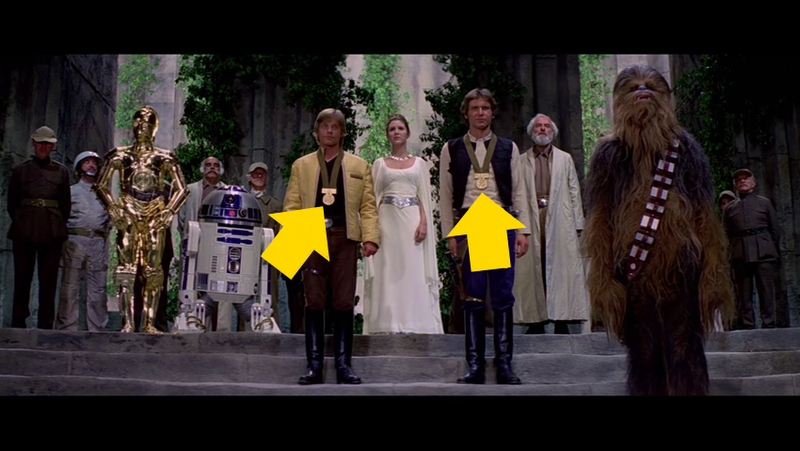 Chewbacca, Han and Luke are the only receivers of the medal. What were the names of the medals given out in Star Wars and what was written on them? In the NEW CANON why don't the Rebels abandon Yavin 4 before the Death Star Arrives? Why did C-3P0 lie to Luke? Why did Han own a training remote? Canonically, who was the third rebel survivor of the Battle of Yavin?